This is my first attempt at uploading from my phone. Today tennenouji released the opening to the upcoming (for real) bad egg+ expansion! It randomly popped up in my mind, but I’d neglected to mention this last time. A new(ish) Spanish translation site for LD1 is up, for anyone interested. I quite like what I did read (my Spanish reading skills are so rusty), so if you’re interested, give it a look! Random news: LD1 bad egg+ is … most likely coming out this year – likelier than other years, at least. Also, LD1 Vita has been out for a month (click for view of cover art). It’s essentially the first game (no bad egg+) with new CGs and no NSFW. …Honestly, I have no idea how they wrote around that, but they managed it. Judging from how they just used old and new CGs together, that’s probably what they’re doing with bad egg+. Finally, the stage play went live and it appears to be very good, from what I’ve heard. For obvious reasons, I can’t see it myself, though. Their Twitter’s been rather active, so click for a look at the poster. Sorry for the delay, and the curtness. I think more than anything, working affects not time (…OK, it affects that a lot, too) but energy. Or, perhaps that’s the caffeine crash. Or maybe Gian’s energy just eclipses mine, pff. Thanks everyone, for being patient! And I hope you still are interested in Luchino’s route, haha. Hope you enjoy! Well, it’s been 3? long years since I started Bernardo’s route, and the nigh unthinkable has happened. Have a Happy Birthday to Gian (I FINALLY made one of those damn anniversaries / birthdays) and have a happy ending with Bernardo. All you loyal fans deserve it. Thanks so much for reading so far. 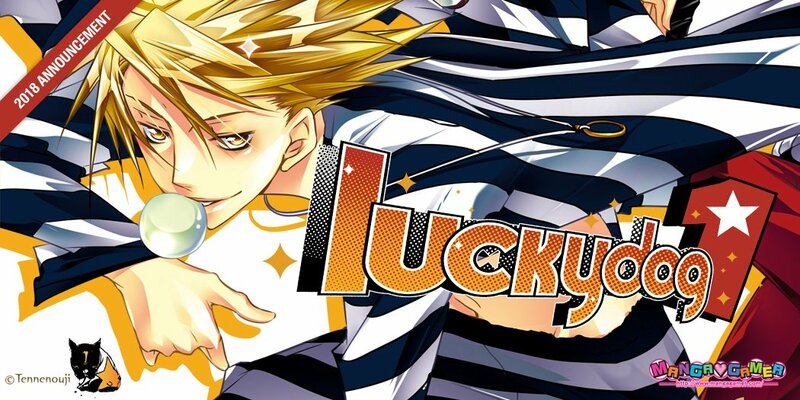 Or rather, I’m sure it’s not JUST because of the English speaking community that Lucky Dog 1 is demolishing everything in the Cool-B contest, but it sure feels like that, haha. And for that, thank you so much for voting! The contest ends August 3rd, and the results will be posted in Vol. 70. Until then, let’s spread the word and keep it up! And if you haven’t voted yet, please consider voting! The instructions are in the previous post below. To celebrate this, and the recent 7th anniversary (on June 10), a good friend Sprinkles put together a nice image. Thank you, Sprinkles!